Dirt trapped in the pores of your tile and grout can cause your surfaces to look dark and dirty no matter how much you try to scrub it clean. 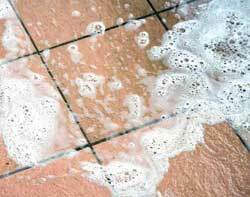 Tile and grout cleaning offers a convenient solution. By using our truck-mounted cleaning system and our RX-20 Rotary Jet Extractor, we can safely remove built up dirt and grime and return your grout to its original condition kitchen floors, entrance ways, bathrooms and countertops. Call Spotless today and preserve your investments.